Now in its 20th year, Claremont Summer offers debate and communication leadership instructional sessions for middle school and high school students. Students may attend as in-residence or commuting students. Hundreds of students from the US and abroad (e.g., China, Germany, Jordan, Korea, Canada, Singapore, Kuwait, Mexico, France, Indonesia, United Arab Emirates, Hong Kong, United Kingdom, India, Japan) attend each year. The only official program of the Public Debate Program – It is the sole official summer program of the Middle School/High School Public Debate Program, arguably the largest debate network in the world, with more than 800,000 teacher and student participants in 34 countries. Although there are other summer programs that may offer instruction in middle school and high school debating in the Public Debate Program format (the popular 3-on-3 debate model), they rarely teach from the PDP textbook and other curricular materials, do not know the educational and professional communication foundations of the format (undermining instruction), have not examined the educational literature or assessment documents serving as the basis for the PDP design, and do not have the expertise to teach highly advanced argumentation and refutation techniques. Official program of Civics in Action – Civics in Action is the leadership and professional communication initiative led by John Meany. The program integrates best practices for public speaking, negotiation, interpersonal engagement, argumentation, organization management, and writing for academic and career success. The training has been used by businesses, non-profit organizations, government agencies, and educational institutions in the US and other countries. Students attending the Middle School Scholars session or the High School Leadership and Professional Communication program will be able to take advantage of Claremont’s novel presentation curricular materials and techniques, as well as work with staff of Claremont McKenna’s Center for Writing and Public Discourse. Select students will be invited to participate in Civics in Action and other leadership projects during the following academic year. For example, students were able to participate at the 2016 Conference on Nuclear Politics, www.leadershipcommunication.center. Summer students will be invited to attend Claremont’s 2019 Conference on Criminal Justice Reform. Certification for all staff and judges – Claremont Summer is the only program that requires extensive training and certification for all staff and judges working with students. Academic rigor – Claremont programming is organized and directed by the principals involved in major debate and youth professional communication development in the past decade, including the founders of the Public Debate Program, the creators of the CHSSA parliamentary debate model, and for five years, the US representative on the World School Debating Council – the organizational host of the international high school debate championship, the founder of the International Parliamentary Debate secondary school and university formats, and the US representative for the Pan American Debate Organization for the past decade. John Meany and Kate Shuster developed the MSPDP and HSPDP formats; they created the California parliamentary debate format and worked with CHSSA to implement the design as a state event; they organized and coached US international teams for the World Schools Debating Championship (Greece, Qatar, Scotland, South Africa, Turkey), the Pan American Debating Championship – (US [2010 host], Chile, Bermuda, Mexico, US [2015 host]), Argentina – Eurasian Debating Championship (Turkey), European Debating Championship (Czech Republic), World Holiday Tournament (Croatia), Russell McVeagh International Round Robin and Debate Tour (New Zealand), and more. They have researched the elements of these and other debate formats, matched format elements to educational standards to maximize learning outcomes, designed evaluation rubrics, surveyed participants, andassessed programming. Professional Presentations (Communication Leadership), Teacher’s Guide to the Middle School Public Debate Program, Teacher’s Guide to the High School Public Debate Program, DVD Series for Secondary Debate Instruction – Four Debates: Ban Boxing!, Lower the Voting Age, Television is a Bad Influence, Abolish the Death Penalty, as well as a college/university parliamentary debate textbook, Art, Argument and Advocacy – Mastering Parliamentary Debate and 8 additional topic-specific debate textbooks and scores of additional age-appropriate resources. All summer workshop students receive textbook and other curricular materials. John Meany, Director of Forensics at Claremont McKenna College and the administrator of the Claremont Colleges Debate Union, coordinates summer debate programming. He has directed and taught more than 175 summer debate and leadership communication workshop sessions in the US and abroad. He directs Claremont’s Public Debate Program and Civics in Action outreach initiatives and other major educational outreach projects. He has coached five college national debate champions. John Meany is the author or co-author of 10 debate textbooks and more than a score of teacher guides, research manuals and other debate instruction texts. He was a major sponsor of parliamentary debate formats (that is, debate formats featuring at least one element of parliamentary procedure, although parliamentary debate models may have no other common features) in the western US, establishing and hosting the first college, high school, and middle school parliamentary debate tournaments. His college teams have participated in the World Universities Debating Championship (international parliamentary debate model) since the 1980s; he established the US Universities Debate Championship (US championship in the international/WUDC parliamentary format, aka British Parliamentary Debate – now the largest national college debate championship) and hosted the first 3 US championship tournaments. He developed secondary school national championships for US and international teams in the MSPDP, HSPDP, YPDP, WSDC, and WPD formats. The middle school championship is now one of the largest single-event competitive debate tournaments in the world with more than 1,300 participants after qualifying league events. He proposed and developed the California High School Speech Association (CHSSA) parliamentary debate format, arguably the most popular secondary school debate event in the state. He has written CHSSA parliamentary debate topics for the state championship for the past 4 years. He created the Civics in Action leadership program and sponsors its academic conference series. He is a communication and debate consultant for higher education institutions, businesses, and non-profit organizations. 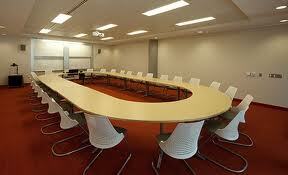 The Debate Union is one of the largest and most successful college debating societies in the nation. Students have won four national debate championships and received many hundreds of additional national and international debate and public speaking honors. The professional, public event, and outreach programs are without peer. The CCDU schedules about 35 tournaments and conferences each year. In the past several years, students have attended events in the United Kingdom, Canada, China, Korea, Germany, Ireland, Thailand, Turkey, Czech Republic, Bermuda, Botswana, Qatar, Mexico, Estonia, India, Greece, South Africa, Russia, Philippines, Slovenia, New Zealand, Pakistan, Finland, Peru, and the United States. In the past few years, Claremont teams won or placed in the finals at a number of national and international events, including 60 round robin and invitational tournaments. The CCDU sponsors more than 40 campus and community events annually, including debates, lectures, discussion panels, town hall meetings, broadcast productions, advocacy training seminars, international student/faculty exchanges, poetry slams, and other national and international community, interscholastic, and intercollegiate events. The Debate Union has sponsored a weekly public affairs cable television program, Uncommon Ground, organized the first poetry slam in Belgrade, coordinated a series of Presidential DebateWatches and Speak Out! programs—public open forums modeled on Speaker’s Corner in London’s Hyde Park. The CCDU has received national awards from debate and non-profit organizations for its public debate and discussion activities. In recent years, students participated in public events and workshops in Croatia, Slovakia, Korea, the United Kingdom, Peru, China, Slovenia, Italy, Turkey, Nigeria, Germany, Czech Republic, Hungary, Qatar, Russia, and the US. Working with campus and community political and social activist groups and non-profit organizations, the Debate Union prepares public speaking and debating instructional materials, trains speakers, produces documentary films, organizes online debates, and hosts conferences. Through its educational outreach programs, the Debate Union is one of the world’s debate and professional communication promotion leaders. This year, the Debate Union will provide class and competitive training for more than 800,000 middle and high school students and teachers in 34 countries. The Debate Union developed and maintains the Public Debate Program, the largest and fastest-growing debate outreach network. The Public Debate Program offers debate class and contest programming for middle school and high school students (the Middle School Public Debate Program, MSPDP; the High School Public Debate Program, HSPDP; the Youth Public Debate Program, YPDP, an initiative for 5th/6th grade students, and the International Public Debate Program, international secondary school debating, IPDP. All schools are welcome to participate in the PDP. The Debate Union continues to expand its outreach offerings each year. New educational outreach projects include a secondary school photojournalism project, a healthy eating initiative, and a student club/organization management program. The Debate Union sponsors a social/political advocacy leadership organization, Civics in Action (CivAc). High school students were invited to participate in its 2016 Conference on Nuclear Politics (www.leadershipcommunication.center) and will be included in the 2019 Conference on Criminal Justice Reform. 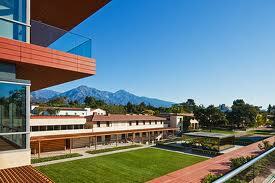 The Debate Union and Claremont Summer programs are centered at Claremont McKenna College (CMC). US News & World Report ranks CMC among the nation’s top ten liberal arts colleges (8th). The College Consensus, aggregated data from multiple rankings, lists CMC at third among all colleges and universities. In an assessment by students, three of the Claremont Colleges ranked among the top 5 institutions – CMC, Pomona, and Scripps. Claremont Summer students have the opportunity to use the outstanding facilities and resources of some of the nation’s top institutions of higher education during debate and leadership communication programming. Admissions officers make presentations to high school students; students receive ancillary essay writing instruction from college writing consultants.